Camping not your thing? We’ve partnered with CID Entertainment to offer exclusive travel packages that bundle a 2-night stay at hotels in Moses Lake, WA, roundtrip transportation to the show each day, merchandise, and tickets to weekender! Upon purchase, you will have the option to add a third night stay on Friday, September 15th. Please note, you must be 18+ to purchase this package and check-in to this hotel. All event attendees must be 18+. Please note, you must be 21+ to purchase this package and check-in to this hotel. All event attendees must be 18+. 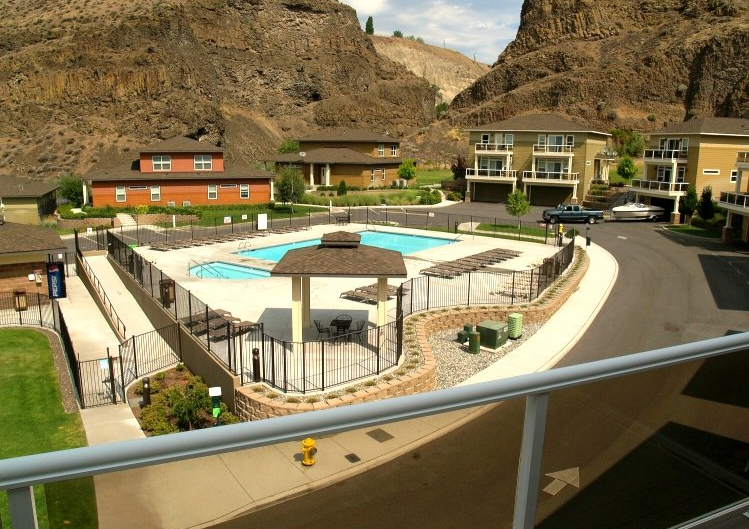 Enjoy the luxury of a private and comfortable home in Central Washington with roundtrip private transportation to and from The Gorge each day. Looking for a hotel only? Check out local hotel rates through our partner Curadora here. You must be 25+ to purchase a home rental package. All event attendees must be 18+. Soak in the beauty of Washington in this beautiful 2 bedroom, 3 bath home with a patio, spacious yard area and 2 balconies. This home comes equipped with king and queen beds, a fully equipped kitchen, Satellite TV, and more. This 2 level beautiful home in the canyon is right across from a large pool and hot tub, and includes king and queen beds, a kitchen, stocked living room, rec room, patio, deck and much more. Come home to a 3-bedroom villa offering views of the Columbia River and Canyon Cliffs. The house comes equipped with 6 Queen beds with a queen in each room, and a private deck to enjoy the views. There is an additional patio on the lower level that opens to a large grass area and a perfect place for outdoor games and entertaining. Relax and enjoy the gorgeous views in this luxury 3 bedroom home overlooking a golf course with cliffs and the river in the background. This house comes with king, queen, and double beds, Satellite TVs, a fully loaded kitchen, full patio set and an upper deck.